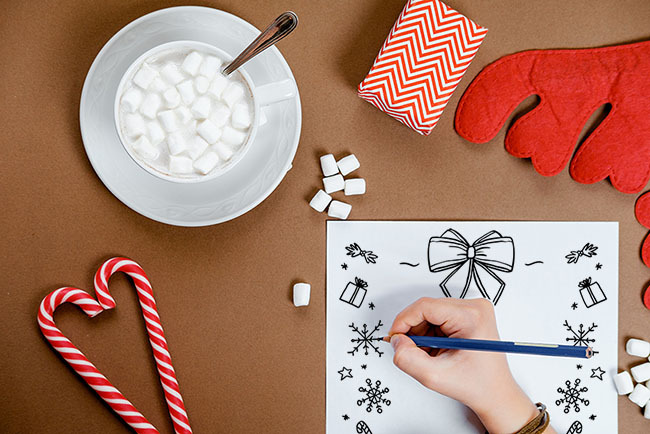 Writing a letter to Santa can be such an exciting activity for kids. 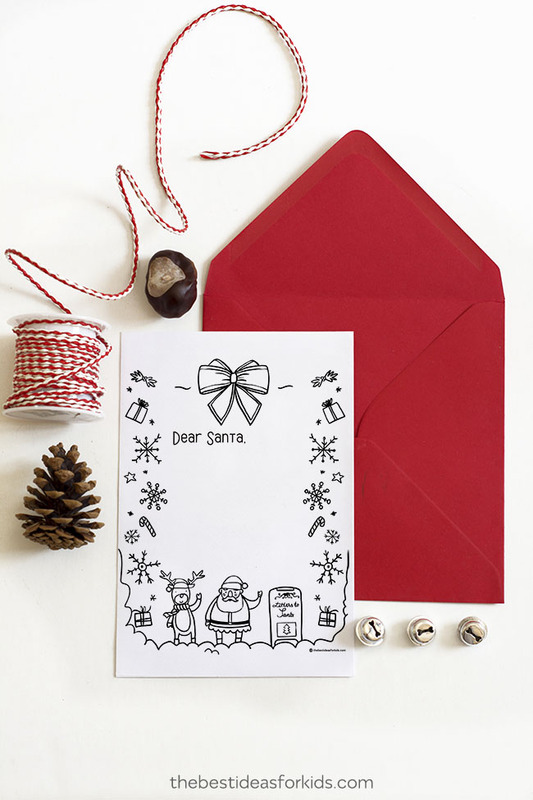 We wanted to create a simple letter to Santa template that kids would enjoy coloring and writing on! 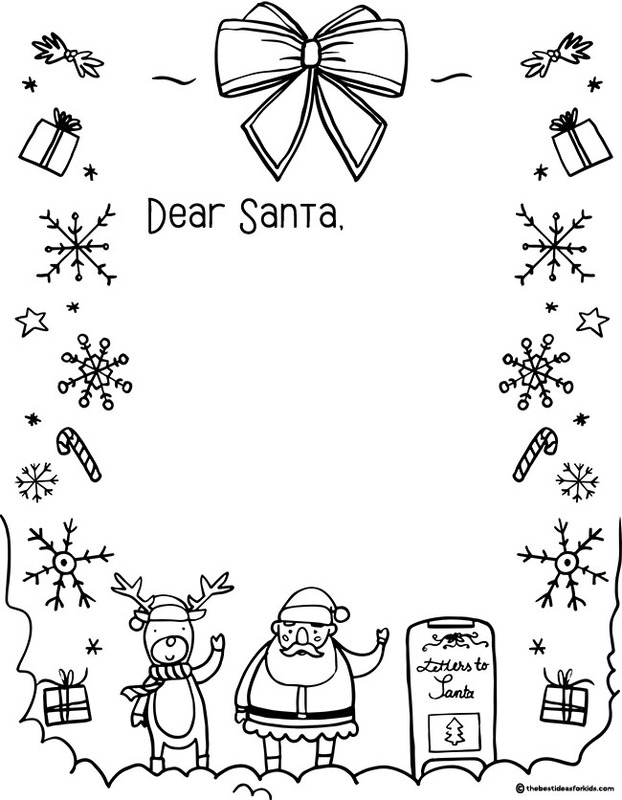 We love that this template has so many different Christmas items kids can color. Have them color with markers, crayons, pencil crayons or even paint and then write the letter inside. Santa will be so happy to receive this final letter from your little ones! If you’re looking for a simple letter to Santa template that also doubles as an activity for kids, then this is the perfect printable! 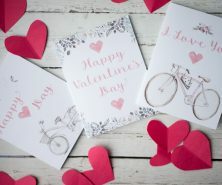 All you need to do is subscribe to our newsletter at the bottom of this post and the free printable will be sent straight to your inbox. Make sure you subscribe on the form that has the picture of the letter to santa printable. You can have kids color the letter with crayons, markers, pencil crayons or even paint. Add some glitter or sequins to dress it up even more! You can even have kids make a special envelope for the delivery to the North Pole. Writing a letter to Santa can also be a great exercise for kids to reflect on the previous year. Some may just want to write a list of gifts they want but you can also encourage kids to ask how Santa’s year has been and to wish him well on his busy night of the year. We hope you enjoy putting together your letter for Santa with your kids! Send letters to Santa Claus, North Pole. To receive a response back, follow instructions from the USPS here. No postage required, but make sure to include your return address on the envelope. For more details from the Canada Post Office, see here. Don’t forget to include a stamp and your full name and address for a chance for a reply. See more details from the UK Post office here. Subscribe here to receive the free letter to Santa printable as a gift sent straight to your inbox! 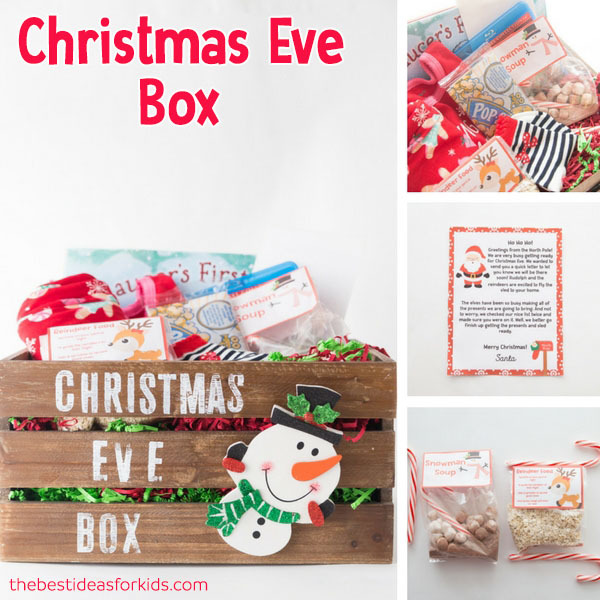 – Christmas Eve Box (includes reindeer food tag, snowman soup tag and a Letter from Santa printable). 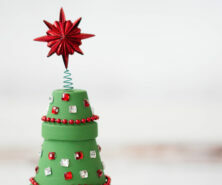 Get a free letter from Santa to place in your Christmas Eve Box along with some great suggestions on how to make your own box and what to include inside! 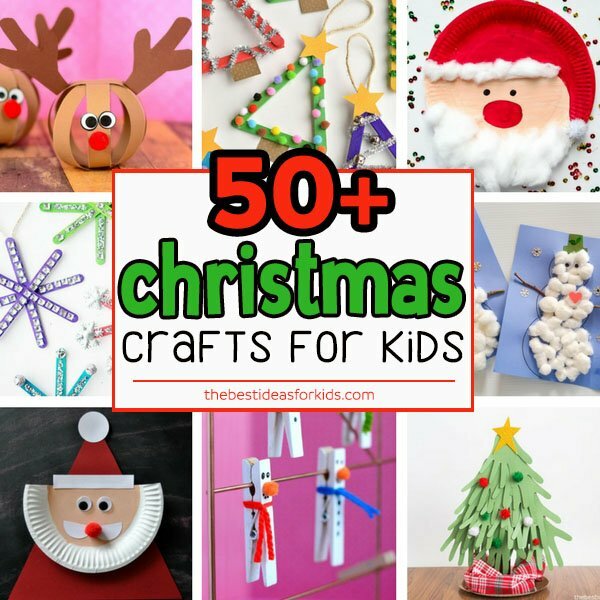 See over 50+ Christmas crafts for kids. 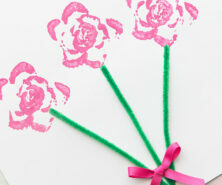 Lots of fun and easy craft ideas for kids of all ages!